Thanks to ‘Ms. V’ for sharing her very helpful color comparison photo. 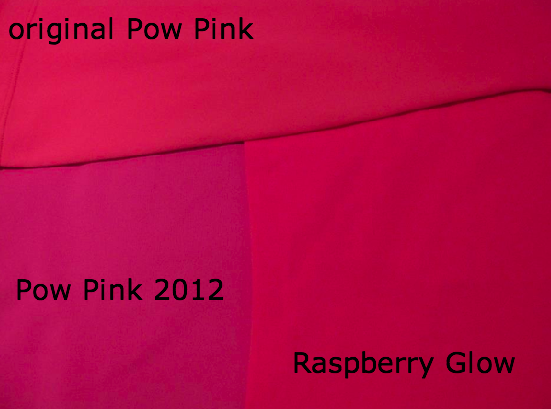 As I suspected, Raspberry Glow is much more like the original Pow Pink than 2012’s version, just slightly brighter. "Run: U-Turn Pullover, Vinyasa Scarf II, Run: Swiftly Turtleneck, Elongate Tank and More"
"Happy Halloween! The Lastest: Swiftly Turtleneck, Limitless Blue Inspire Crops, Run U-Turn Pullover and More"